Twice a year, university business school rankings are released from Bloomberg Businessweek and U.S. News and World Report. These are the most prestigious listings of the best programs in the country. Their release and our ranking is a major event at our school, and must be highlighted on social media. Since UT Dallas’ culture embraces the nerd lifestyle and everything to do with space (our mascot is a comet), I make sure to design these easily shareable graphics to highlight this feature. 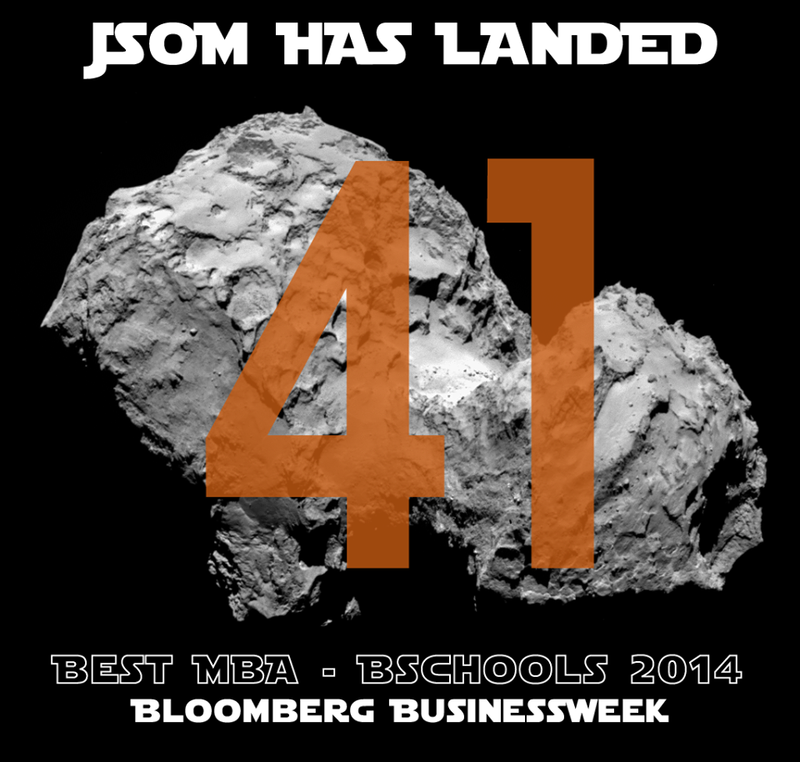 The MBA Bloomberg Businessweek rating were released the same week as the Rosetta Misson’s Comet Landing. Since UT Dallas’ mascot is a Comet, I thought it would be great to play on the social relevancy by using the iconic picture of the comet for our ranking graphic. Engagement: 200 likes, 22 shares and four comments. Click here to view the live post.